"...John Ardoin has produced a book that will prove a valuable resource for anyone wishing to come to grips with a legendary artist....The author has sifted through a mountain of CDs, acetates and airchecks, yet does not hesitate to distinguish clinkers from true gold....There is...a fine selection of photographs, as well as John Hunt's authoritative discography." 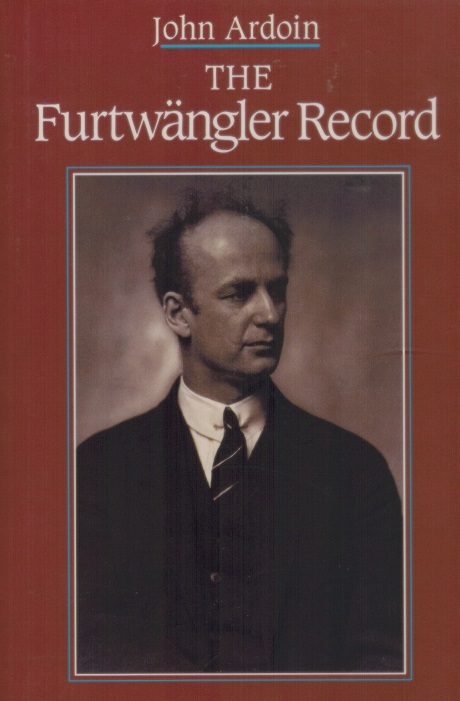 "In this book, John Ardoin takes the reader on a journey through Furtwängler's recorded legacy. Instead of writing a biographical account of the conductor, he digs into his musical achievements and strings along biographical material here and there. The main focus is on the recordings and the chapters are listed by the various composers that Furtwangler specialized in. The biggest focus is obviously on the Austo-German mainline of classical music. We get quite a lot dedicated to the recordings Furtwängler made of Bach, Mozart, Beethoven, Schubert, Schumann, Wagner, Brahms, Bruckner, R. Strauss. We also get shorter entries dedicated to such different composers as Weber, Berlioz, Verdi, Tchaikovsky, Hindemith and others. The composers are discussed chronologically of course. 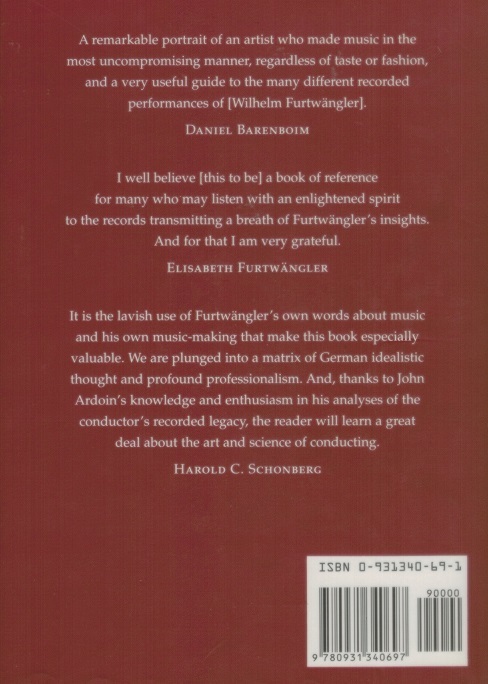 This book is full of insights and comprehensive in it's overview as it goes through all known Furtwängler recordings and there are quite a few of them. I've been listening to Furtwangler for years and this book is a great supplement to understanding Furtwängler's style and artistic thought process. If you own the Beethoven and Brahms symphony sets released by Music and Arts, there are excerpts from this Ardoin book printed into the liner notes of those CD sets. That will give you an idea about what kind of writing this book contains. Ardoin is an intuitive writer and he lets Furtwängler speak for himself many times, taken directly from his notes, letters and talks."